The Term metastasis means spread of cancers cells to distant sites away from the site where the cancer has first appeared. 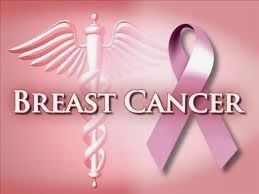 Breast Cancer can be metastasized. Breast cancer can speared to axillary lymph nodes and grows in size there. Breast cancer can spread to almost any part of the body but the most common sites are bones followed by lungs and liver. These symptoms are sometimes but not always associated with metastatic breast cancer, and having one or more of these symptoms does not necessarily mean a woman has metastatic breast cancer. Most women whose breast cancer has metastasized do not show symptoms until the disease is extensive. Approximately 25% of breast cancers spread first to the bone. The bones of the spine, ribs, pelvis, skull, and long bones of the arms and legs are most often affected. similarly in Breast cancer CEA (carcino embryonic antigen) concentration increases. However, the CEA level can also be elevated in a number of benign (non-cancerous) conditions. Some of these include stomach ulcers, colon polyps, cigarette smoking. Treatment options include supportive therapy and administration of drugs that reduce the symptoms.